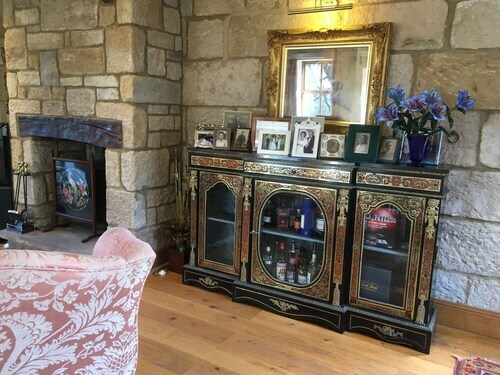 Situated in a rural location, this bed & breakfast is 0.3 mi (0.5 km) from Otley Chevin Forest Park and 1.3 mi (2.1 km) from The Chevin. Kirkstall Abbey and Harewood House are also within 9 mi (15 km). Situated in Otley, this inn is within 1 mi (2 km) of Chevin Forest Park and Otley Chevin Forest Park. Golden Acre Park and Ilkley Pool and Lido are also within 6 mi (10 km). How Much is a Hotel Room in Otley? 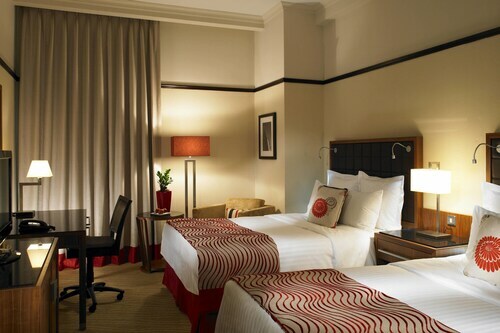 Hotels in Otley start at $106 per night. Prices and availability subject to change. Additional terms may apply. For those visitors wanting to unearth a place to tuck in for the night right near the center of Otley, Travelocity offers a number of options. 8 lodgings listed on Travelocity are listed within 6-mile (10-kilometer) of Otley and its surrounds. 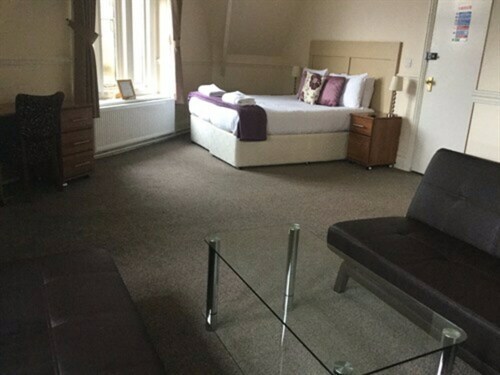 If you and your family want to stay less than 3 miles (5 kilometers) from the downtown area of Otley, the The Black Horse Hotel is a great option. One of the very few Travelocity-listed budget-orientated hotel choices in Otley is the The Half Moon Inn. 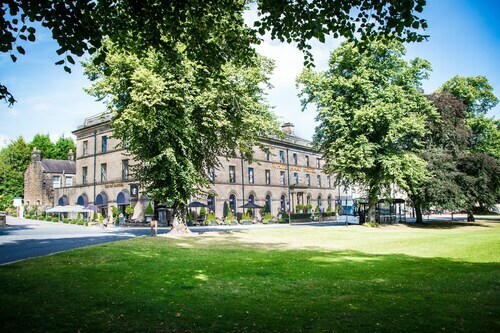 9 miles (14 kilometers) away from the heart of Otley, you will find the Devonshire Arms Hotel & Spa. The Gateway Apartments can be found about 12 miles (19 kilometers) away. 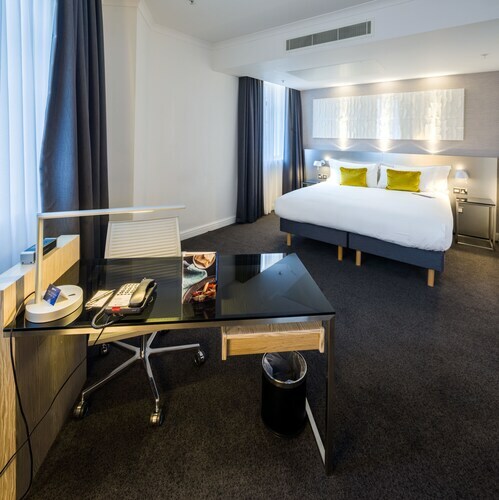 Two other accommodation options around this area are the Quebecs Luxury Apartments as well as the Wood Hall Hotel and Spa. Still looking for things to do? You could spend the day exploring Ilkley Moor and Ilkley Toy Museum, in Ilkley, 5 miles (8 kilometers) west of Otley. 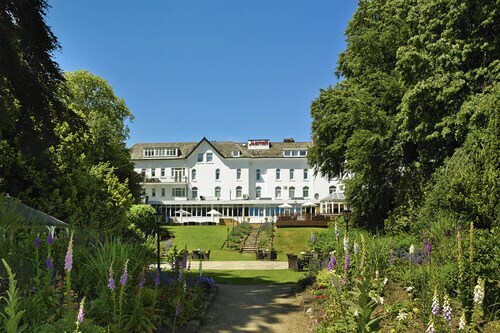 If you want to spend a night or two in Ilkley, be sure to check out the Best Western Rombalds Hotel and Craiglands Hotel. 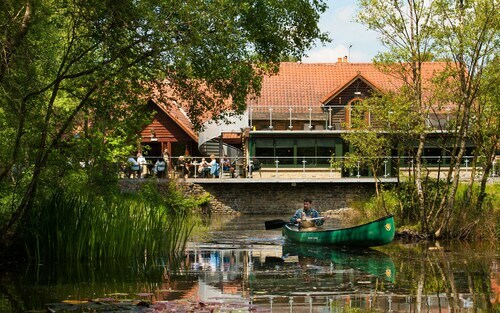 Alternatively, you could stay in Yeadon, 5 miles (8 kilometers) to the south of Otley, where you can pick from the Chevin Country Park Hotel & Spa and Hillcroft Barn. The Yeadon Tarn Park and Yeadon Town Hall are some of the most popular places to explore while in Yeadon. Before you leave West Yorkshire, you should make sure you enjoy enthusiastic locals watching a thrilling game. Make your way to Old Trafford, which you will find to the southwest of Otley. 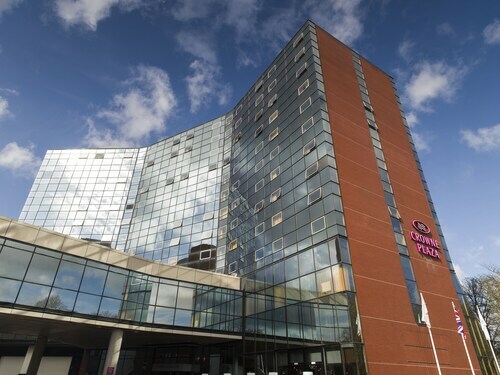 Wise travelers wishing to find Travelocity-listed accommodation near to the sporting action can choose from the Dreamhouse Manchester Bloom Street or the The Lowry Hotel. For visitors who choose to fly, Leeds Bradford Airport is a logical point of arrival for Otley. Not far away is Britannia Leeds Bradford Airport Hotel.